The filmmakers have a lot of expectations from it. Some days ago, the first look of the movie was released and garnered good response from the audience. 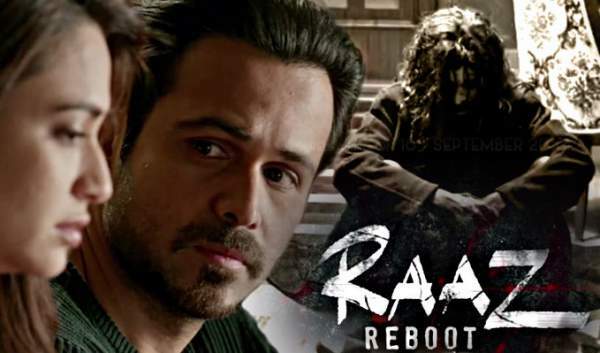 Now, let’s move to Raaz Reboot movie review and check if it’s worth watching. The 2016 sequel is the fourth installment in the franchise and written & directed by Vikram Bhatt. Mahesh Bhatt and Mukesh Bhatt have co-produced it under the Vishesh Films banner. It is the Bollywood debut film of South star Kriti. It’s all about a married couple Rehaan (Gaurav Arora) and Shaina (Kriti Kharbanda) who move to Romania. But, Rehaan seems to get bothering about something after moving in a house there, and he starts keeping a distance from his wife. Shaina starts wondering about the same. Soon, Shaina starts experiencing supernatural powers and finally concludes that the house is haunted. Rehaan doesn’t believe in her and plans to move somewhere else. Soon, Shaina comes across her ex Aditya (Emraan Hashmi). He convinces her and promises to help her. The rest is the crux of the story. The story seems to be similar as of 1920 London Returns. Reboot is just in the title, and there is nothing related to it as Bhatt has utilized the same old tricks and techniques to scare the viewers. These things are probably used in all the Bollywood horror movies. For a short span, you may think that the story would lead to some Dracula stuff as the story moves in Romani and Transylvania. But, it’s not. Its concept is old, revenge. The story is predictable. Suspense and mystery surrounding the Emraan’s character are easily visible. The first half is good as it prepares the mystery. But the pre-intervals sequences could have been better as they reveal much. Then, comes the dull second half as people try to contain the spirit. Kriti Kharbanda has tried her best in the debut. But, she is not that much convincing. She is okayish with her role. However, her role as a possessed person is appreciable. She needs to improve her dialogue delivery. Gaurav Arora did justice with his character. If he is not superb, then he is not bad at all. He sticks to the script. Emraan Hashmi, as a villain, seems good. However, with limited scope, he either can’t save the flick. It seems that Vikram Bhatt is on a spree to give back to back bad films. It should be his last at least in the Raaz franchise. Spooky and supernatural genre is easy for everybody. Bhatt should realize this. The first installment was the best in the series. Others are just rehashed versions. The cinematography is good with excellent locales. The background with plush houses and antique furniture is superb. The music, on its side, is good but seems to be forcefully added to the film. But, it proves to be somewhat saving grace. CGI is pathetic with Raven and snake scenes. It easily reminds that he is the same person associated with Creature 3D. In place of scary, they are laughable and annoying. There is one scene in which laptop is bleeding. Is it that ‘reboot’? Background music is not that great. The eerie sounds are now familiar to the Indian audience. Those usual Ghost theatrics doesn’t even scare a 2-year-old child if he knows about editing. It’s a classic fail. It doesn’t scare except just one or two points, and that’s also not that much. Next articleMacBook Air 2017 Release Date & Specs: Apple Laptop To Feature Retina Display With macOS Sierra?